A good education is one of the cornerstones of a bright future. Therefore, identifying the top education schools in the country should be a priority for each and every parent. Fortunately, the best doesn’t always costs the most and many of the top performing schools in the country are successful because of good teachers, a solid teaching philosophy and a supportive school governing body, not because they charge astronomical school fees. Determining which criteria to use to compare the top education schools, proves to be more of a challenge. What makes a top education school? A hundred percent matric pass rate? The total number of distinctions obtained by matriculants in the final exam? Or is it the awards and accolades given to teachers? An article by Buzz South Africa paid attention to historical prominence at national and regional level. It is therefore no surprise that Grey College in Bloemfontein occupies the top spot. The other top five schools in South Africa based on this factor are King Edward VII School in Johannesburg, Hilton College, a private school in KwaZulu-Natal, St John’s College in Johannesburg and Maritzburg College in Pietermaritzburg. However, a survey by Serve Africa used a 100% pass rate, plus the total number of students who wrote and passed the matric exams as a guideline, which gave a slightly different result. It produced a list of the twenty top education schools in all the provinces, with Hudson Park High School in East London, Eunice Senior Secondary in Bloemfontein, Eldoraigne High School in Centurion, Durban Girls High in Durban and Paarl Vallei High in Paarl topping the various lists, among others. It is clear that there are no hard and fast rules when it comes to identifying top education schools. Key to finding the right school for your child, is to visit the school premises and talk to the educators. Ask questions and don’t be afraid to push for answers if necessary. 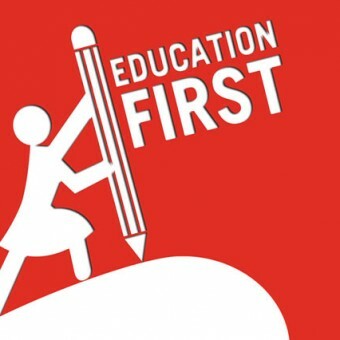 A top education is one of the most important gifts you can give your child and should never be compromised. Electronics can be mystifying subject. For those of us, who weren’t blessed with a mechanical mind, or who don’t have a physics background, all the talk of circuits, resistors and diodes could be confusing and even downright scary. However, having just basic knowledge of electronics can make all the difference when it comes to having to change the plug. 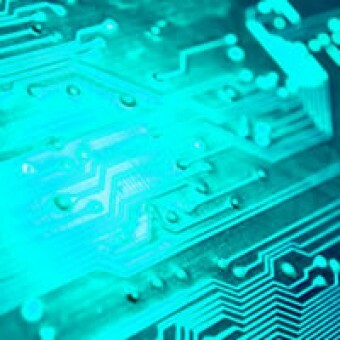 Wikipedia defines electronics as “dealing with electrical circuits that involve active electrical components, such as vacuum tubes, transistors, diodes and integrated circuits.” It is widely used in information processing, telecommunication and signal processing because it is able to amplify weak signals. Electrical signals can be classified as either being an alternating current (AC) or a direct current (DC). As the name suggests, and alternating current is electricity that constantly reverses as it flows through the circuit. Most basic electronic circuits, however, use DC electricity, in other words electricity that flows in one direction between the power source (or positive voltage) and the ground. Electricity needs to flow through a circuit to be utilised. A circuit is a complete and closed path through which electric current can flow. Once that path is opened, electricity will cease to flow. Electricity in a circuit, without some sort of resistance, is useless. There needs to be something between the positive voltage and the ground that adds resistance to the flow of electricity and converts it to something usable. Removing the resistance will result in a short circuit. A short circuit can lead to your power source (often a battery) and/or circuit overheating, breaking, catching on fire or exploding. Circuits can be wired in series, or in parallel. In series, things are wired one after another, forcing the electric current to pass from one thing to the next. In parallel, things are wired side by side, allowing electricity to pass through all of them at the same time. There are many different elements in a circuit and each one has a different purpose. Finally, what do we use electronics for? The short, uncomplicated answer is a myriad things, including radio transmitters and receivers, television, radar and microwave technology, specialist audio equipment and much, much more. In fact, it is hardly possible to envision a world in which electronics doesn’t play a major role, and nor would we want to. Actress, model, mom, MC, TV presenter and radio co-host Pearl Thusi is without a doubt, one of the hardest-working media personalities on the local entertainment scene and she’s just added one more job title to her long CV. Pearl was announced as the new face of the luxurious Europa Art Shoes’ summer range at an event held at their Sandton City store. The 40-year-old chain store sells some of the world’s most sought-after high-end footwear brands, so it’s no wonder Pearl’s delighted with this new gig. Speaking through her publicist, Pearl expressed how elated she was to be linked to the Italian footwear label. The super-busy Miss Thusi is also set to star in a feature film that is scheduled to start filming in the next couple of weeks. The legal advisor is a person who advises another, usually in an official capacity, about various matters of law. A legal advisor can be employed by large or smaller companies, other organisations or by the government to provide legal services, advice and guidance to the organisation and its employees. In other words legal advisors are in-house lawyers, as compared to advocates and attorneys, who provide their services to the public as a whole rather than to a specific employer. They seldom operate in court rooms. Most legal advisors are former attorneys or advocates who have chosen to work in a corporate environment. 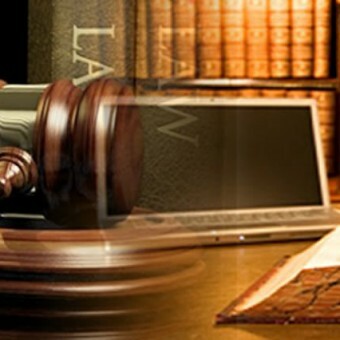 Therefore, the requirements and training for a legal advisor are roughly the same as for attorneys and advocates. A legal advisor should have lots of ambition, be totally dedicated and maintain a disciplined approach. On top of this he or she however needs various special characteristics and skills of which honesty, decisiveness and integrity are very highly regarded in the profession. Other crucial characteristics include always being objective in a matter, being able to distinguish facts from irrelevant detail and having the ability to solve problems, big and small. A legal advisor also needs outstanding communication skills, discretion, good judgment, diplomacy and tact, to name but a few. Working under pressure at times comes with the territory. Job opportunities are endless for the legal advisor. They can work for companies or organisations; central, provincial or local government; at law schools; at legal aid societies; be self-employed or work in private practice. Currently a legal advisor in South Africa with one to three years experience can expect to earn between R450.000 and R650.000 per annum whilst a qualified lawyer with over 10 years experience would earn around R1.3 million. These figures are however merely rough estimates, and are possibly on the conservative side. The beauty industry is worth billions of rand, often promising much more than it can actually deliver. However, looking after your beauty and health should be high on your list of priorities. Caring about your appearance often has indirect benefits for your health and is important for the emotional well-being of both men and women. Beauty and health are also linked in other ways. By focusing on one, the other is often also achieved, as is explained by the following examples. Eating a varied diet, rich in fruits and vegetables with moderate amounts of protein and carbohydrates and limiting sugar and fat, is beneficial to beauty and health. Following a balanced diet will not only keep your weight, cholesterol and blood pressure in check, which will make you healthier, but will also ensure clear and healthy skin, hair and nails, which will make you more beautiful. Healthy food choices include at least five portions of fruit and vegetables per day, two portions of fish a week, lean protein, pulses and wholegrain foods. Watch out for too much salt, which can raise your blood pressure and may lead to strokes or heart disease. Adults and children older than 11 should eat no more than 6 g of salt per day. Exercising three or more times a week is essential for beauty and health. Exercise will not only help you to control your weight, but could also reduce the risk of health conditions such as type 2 diabetes, certain cancers, heart disease and stroke. Being active, however, doesn’t necessarily mean slaving away at the gym. Incorporating more activity into your daily life, such as taking the stairs instead of the elevator, parking further away from your destination, or even walking the dog, all add up to your daily activity tally. The most important thing is to find some activity that you enjoy doing. Exercise with a friend, go for a hike in a beautiful area, dance along to an aerobics DVD, or swim in the ocean. Health experts recommend a daily intake of about 1.2 litres of fluid a day to prevent dehydration. A person constantly loses water from skin evaporation (sweat), breathing, urine and stool and these losses must be replaced. Drinking water not only helps to maintain the balance of body fluids – which aids digestion, circulation and maintains body temperature to name a few – but can also help you to lose weight as a diet higher in water-rich food is more filling. It is also crucial for a beautiful, hydrated skin. Water, milk and herbal teas all count, but alcoholic drinks, sugary soft drinks and even fruit juice should be avoided. “I will tell you how to become rich. Close the doors. Be fearful when others are greedy. Be greedy when others are fearful.” These words of wisdom by Warren Buffett are often taken to heart by the financial advisor. To some it has become their mantra. A financial advisor faces difficult decisions every day. In their quest to render the best possible financial services to clients, they have to face up to tough choices. Some advisors believe that one of the biggest challenges they face today is saving investors and clients from themselves. The pressure that came with the recession of 2008 left many in a difficult position. Extreme risk-aversion and following fads are just a few of the side-effects. Side-effects that the financial advisor must be alert to. The vigilant financial advisor knows that steering habits and educating clients can make a little go a long way. Calling clients and balancing portfolios are necessary steps to defeating larger challenges that the financial adviser is up against. Drew Horter believes that “as hard as it is to attract new clients, it may be even harder to keep them”. According to a 2012 survey by Paladin Registry and ByAllAccounts, more than 60% of affluent investors consider firing their financial advisor within one year. Horter says it is for this reason important for the financial advisor to consistently deliver high-touch client service. He recommends a “28 touches” system, through which the financial advisor interacts with clients for a minimum of 28 “touches” annually. This can be achieved through a combination of one-on-one meetings, newsletters, birthday cards, client appreciation events, phone calls and other means. 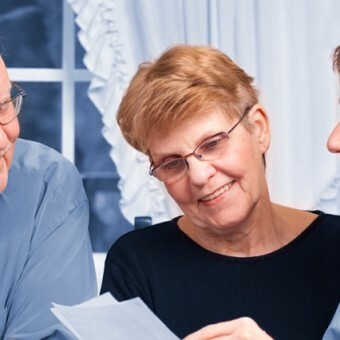 Horter believes that “by being proactive and making frequent contact, the financial advisor can solidify close, long-term relationships with clients”. Some believe the biggest challenge the financial advisor face today is efficiency. Mark Tibergien, CEO of Pershing Advisor Services believes that “the financial advisor is not struggling with finding new clients, but they’re struggling with how to do their business smarter. They continue to be pretty inefficient”. There is also the dilemma of investors using multiple advisors. Many feel that it is unwise to put all one’s eggs in one basket. Experts however say it is often not smart to diversify amongst financial advisors. One reason offered is that there is a potential of overlapping. Investment overlap is having two or more investments that you think are diversified, only to find out that a significant portion of each has the same asset classes. Another reason why it might not be a good idea to diversify is that you’ll probably have increased risk. If both advisors buy the same thing, you may have too much of one particular asset class. And then finally it’s really time-consuming to entertain the ideas of more than one financial advisor. You may waste tons of time. You’ll have to evaluate two sets of phone calls with investment ideas and two sets of meetings to review your investments. 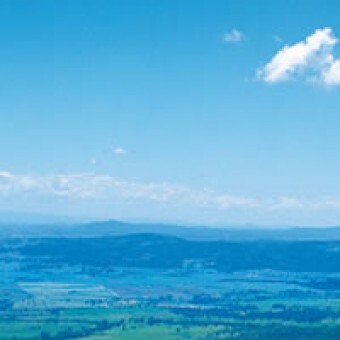 Most specialists will therefore advise you to choose one financial advisor. 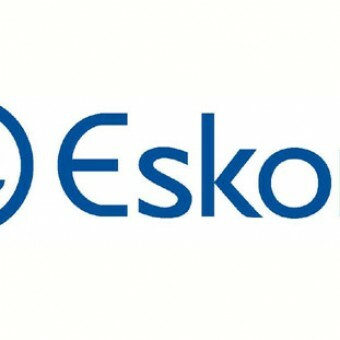 Cabinet has approved a package to close the funding gap at Eskom, the national treasury said on Sunday. The package, approved at a special cabinet meeting in Cape Town on Thursday, would guarantee energy security and support gross domestic product growth, spokesman Phumza Macanda said in a statement. Eskom faced significant challenges which threatened its sustainability that included a funding gap. Eskom would not generate enough revenue to cover electricity supply costs, which was the cause of the funding gap. The amount of hidden sugar in processed food is slowly killing us.This is according to Fed Up, an American documentary film that will premier in South Africa next Friday. Narrated by award-winning journalist Katie Couric and produced by Stephanie Soechtig, it compares the US food industry to the tobacco industry and suggests that it preys on consumers. Academics and health experts argue that it is not only consumers’ fault that they are overweight and apportion some blame to food producers and easy access to addictive foods that are available 24/7. Robert Lustig, a professor of paediatrics in endocrinology at the University of California, San Francisco, proposes that sugar is addictive – and processed food is full of it. Americans can’t help but eat more, he says in the film. Americans’ actual sugar intake of 41 teaspoons a day far exceeds the recommended five teaspoons, with consumers not always realising that corn syrup, maltrose or dextrose are also names for sugar. Lustig blames refined and processed foods for “a tsunami of metabolic diseases”, referring to heart attacks, obesity, strokes, cancers and, of course, diabetes. “If you eat a bowl of cornflakes without sugar, or a bowl of sugar without cornflakes, the effect on your body is the same,” he says. The film works to discredit the idea that one can just outrun a bad diet. Food with sugar is still bad for you, no matter how much you exercise, it argues. The food industry has hit back, explaining that it has removed 1.5billion calories from processed food in the US. “Junk is still junk, even if it is less junky,” responds US journalist and healthy eating activist Michael Pollen. South Africans are also deluged by processed foods with hidden sugars, but people here are more likely than Americans to prepare food at home, said dietician Tabitha Hume. She said she did not believe food was addictive “but producers know exactly how to create high-flavour food that affects the brain, making people feel awesome”. At the Discovery Vitality screening of the film, bariatric specialist Tess van der Merwe complained about the ubiquity of junk food. Everyone has a different idea about the perfect holiday. For some, it involves little more than lying on a beach, sipping a cocktail and reading a good book. For others, it involves challenging themselves, seeking the next adrenaline rush and exploring the ultimate adventure. Sport and adventure holidays are growing in popularity and therefore it would make sense to find the best sport and adventure holidays available around the world. This tiny country has made it onto the list thanks to its 350 miles of coastline, dense forests and the Latvian Open-Air Ethnographic museum in Riga – one of Europe’s oldest and largest museums. Sport and adventure tourism is giving Romania a much needed economic injection. Visitors come to camp and hike in the Carpathian Mountains, seek solace in the Painted Monasteries of northern Moldovia and explore the Danube delta with its 2 200 square miles of canals, marshes, lakes and islands. Undoubtedly the main reason for visiting Jordan would be the city of Petra, carved entirely out of a stone canyon in the southern desert. It is estimated to have been built in the 6th century BC by an ancient Arab civilization. Nature lovers can explore the reserves comprised of gorges and desert lowlands, including the world’s lowest reserve at Mujib (410 meters below sea level). Formerly part of Yugoslavia, Slovenia stretches from the Alps to the Mediterranean. It is a Mecca for lovers of sport and adventure, with hiking, cycling and various water sports on offer. The country also sits atop some 8 000 caves, which is best explored by hiring a guide. Snow-skiing, hiking and climbing … mountainous Bulgaria has it all. The country also hosts a 1 200 km endurance bike race through the mountains. Tourists seeking a little bit of culture will no doubt lose themselves in historical artifacts from as far back as the Thracians and Romans. The Czech capital, Prague, has long been a favourite of travellers the world over. However, there is much more to this beautiful country than its sophisticated capital. Highlights include downhill and cross-country skiing, nature reserves and wineries in the Moravian region. Cesky Krumlov in South Bohemia is a UNESCO World Heritage site and is famous for its architecture and castle. Estonia is a tiny, low-lying country on the Baltic Sea. Nearly 50% of the country is forested with gorgeous hiking trails, marshes, lakes and rivers in national parks and campsites. Along the coast are many secluded beaches, limestone cliffs and more than 1 500 islands. Truly a nature-lover’s paradise. A long, narrow country, Chile is abundant in natural resources and features a variety of landscapes; from the high Atacama desert to the famous fjords, mountains and lakes of Patagonia, home of the Torres del Paine National Park. Slovakia, the other half of the former Czechoslovakia, scores high in tourism infrastructure, health and hygiene. It’s tourism slogan – Little Big Country – refers to the Carpathian Mountains in the country’s north. It might not be the first country that comes to mind when planning a sport and adventure holiday, but Israel is a top destination for adventure travelers. Outdoor activities include hiking Masada and the Galilee, floating on the salt water of the Dead Sea and water sports on the beaches of Tel Aviv. Next time you are planning a holiday, break out of your comfort zone and explore the many options that sport and adventure travel offers.